Battlefield 3 producer Patrick Bach believes reviews - and Metatscores in particular - are a better indication of a game's quality than sales. "You can argue that game quality has to do with sales, but it's not equal," Bach said, in an interview with Eurogamer. "You have to have enough game to reach sales. But it doesn't mean if you have a 95 rated game that would sell the most copies. An 85 rated game could sell way more copies than a 95 rated game, which is sad for the developer, because the developer then gets a receipt on that: you made a great game, and then the sales tell you that you didn't make a great game." It's a hard point to argue with. Going by sales data: Duke Nukem Forever is pretty good, Ubisoft's execrable Imagine: Babyz is better than Okami and Call of Duty: Black Ops is the best game ever made. I'm not sure which part of that sentence is the most awful. Bach doesn't believe direct user feedback is much use either. "The other thing you have is consumer feedback, as in forum posts. You can't use that because it's mostly people being very upset with stuff. It's not very often you have a thread on how awesome something is. Well you get that sometimes with videos and stuff, but general threads are mostly complaints." So what metric does DICE go by? "You could argue that reviews are the most objective feedback you can get as a game developer," he said. He then went on to confirm that Battlefield 3 does have a Metascore target, but wouldn't reveal what it was. 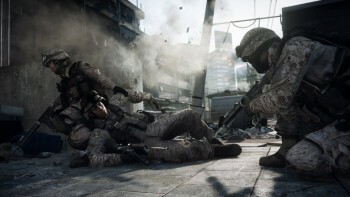 Considering Battlefield 3 has garnered a very positive response thus far, with the all-important numerical scores hovering around the nine-and-up range, it seems unlikely the game will fail to meet its targets. That being said, the veracity of Battlefield 3's current Metascore has been questioned after publications in Norway accused publisher EA of cherry picking reviewers last week.